Performing has always been a big part of her life. Scarlett has done acting and singing her whole life. It's her one true passion. When she finally gets her big break, she doesn't give a second thought. She jumps head first into the world of Hollywood. She realizes it's much different than Lincoln, Tennessee. 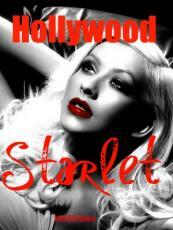 Can she learn to adjust and live by the rules of Hollywood or will it all be too much for her?